Does your face look tired, even if you aren't? While a facelift typically focuses on the lower third of the face, a brow (or forehead) lift is a surgical procedure that reverses signs of aging in the upper third of the face, lifting the eyebrows to a more alert and youthful position. As we age, unsightly wrinkle lines may appear on the forehead. Frown lines between the brows can make us look angry or "too serious." Skin relaxation may cause the eyebrows to drop, hooding our upper eyelids and making us look tired. If you are bothered by these signs of aging in the brow region, a brow lift may be right for you. The purpose of your consultation with Dr. Majewski is to evaluate whether you are a candidate for a brow lift (or a different procedure) and to develop a treatment plan that will help you achieve your goals. It's very important to understand all aspects of your brow lift procedure. It's natural to feel some anxiety, whether it's excitement for your anticipated new look or a bit of preoperative stress - or both. Don't be shy about discussing these feelings with Dr. Majewski. You’ll feel most confident about your procedure, recovery, and results if you know exactly what to expect. The cost of the brow lift procedure varies depending on the extent of your surgery, and whether you decide to undergo other procedures at the same time. The cost of your procedure will include anesthesia fees, surgical facility costs, medical tests, post-surgery garments, prescriptions for medications, and the surgeon’s fee. When choosing a board certified plastic surgeon for your brow lift, remember that the surgeon’s experience and your comfort with him or her are just as important as the final cost of the surgery. Since a brow lift is a cosmetic procedure, it is not covered by insurance. However, we do offer CareCredit for all cosmetic procedures. (Note: If you choose to undergo eyelid surgery as well, the cost of that procedure might be covered by insurance.) You can request a price quote and ask any questions you might have on our Payment Options page. 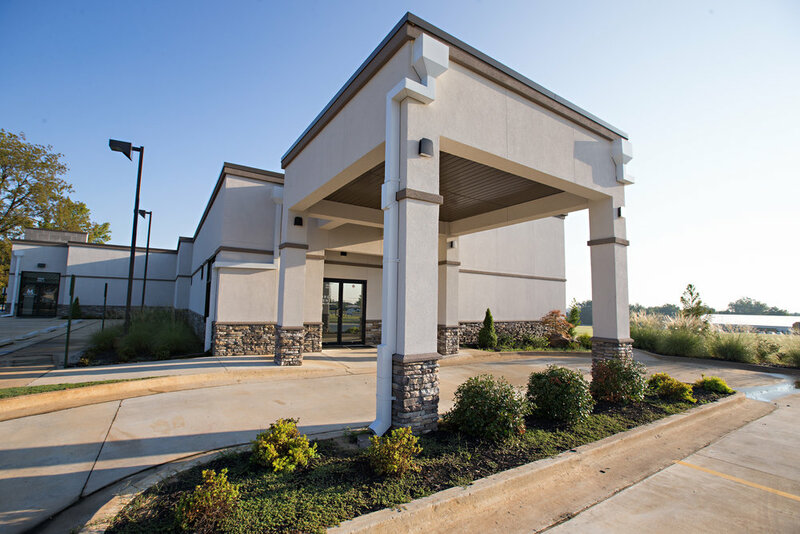 Most of Dr. Majewski’s brow lift cases will take place at our state-of-the-art Surgery Center at the Reserve, located conveniently right next door to our clinic. You should arrange for someone to drive you to and from your procedure. Medications will be administered for your comfort before and during your surgery. The choices include intravenous sedation and general anesthesia. Dr. Majewski will recommend the best choice for you. You can discuss these options during your consultation with Dr. Majewski and create a plan that will help you achieve the best results. Brow lifts can be performed in different ways, most commonly through an endoscopic or coronal incision. Some surgeons prefer using an endoscope (a thin tube with a camera on the end) and special instruments placed through small incisions made within the hairline. This allows the tissue and muscle beneath the skin to be adjusted, correcting the source of visible creases and furrows in the forehead. Some surgeons prefer to perform a browlift through what is called a "coronal incision" The coronal incision is created from ear to ear across the top of the head within the hair-bearing skin. For women with very high foreheads, an incision just at the anterior hairline may be recommended. In this method, the brow can be lifted without altering the height of the front hairline. The resulting scar, while somewhat more visible, can often be hidden with bangs. Once Dr. Majewski has completed the brow lift, he will close the incisions with removable or absorbable sutures, skin adhesives, or special clips and the healing process can begin. Immediately following your surgery, your forehead may be taped and/or your head may be loosely wrapped to minimize swelling and bruising after the procedure is completed. A thin tube may be present to drain any excess blood or fluid that may collect under the skin. Week 1: While it’s important to take it easy during the first seven days of recovery (and to have a caretaker with you for the first 24 hours after your surgery), any extra fatigue/nausea you experience during the week will likely be due to your pain medication rather than the brow lift itself. Though your swelling/bruising should peak at three or four days after your surgery, odds are you’ll feel good enough to get up and move around the house as early as one or two days past surgery. Dr. Majewski will prescribe pain medication to help manage whatever discomfort you may feel after your brow lift. Taken on schedule and according to instructions, you can effectively control any stiffness/soreness in your neck, ears, or face so that you’re able to do some low-key activities, like light housework. Getting your body moving and your circulation going is important, as it will help you to recover more quickly. Be sure to follow the daily incision-care routine as outlined by Dr. Majewski (as well as any other post-op care instructions you were given) to help ensure a speedy and successful recovery from your surgery. The sutures/stitches that are holding your incisions in place may be itchy, but taking good care of them will help alleviate the discomfort. It’s also OK to see more swelling/bruising on one side of your face than the other, as each is a separate surgery site. However, if you notice a severely distorted bulge on either side of your face, call our office immediately to assess the issue. Do the same if you develop a high fever in the days following your recovery. Week 2: It’s perfectly normal to see a bit of bruising/swelling on one or both sides of your face, around your eyes or even behind your ears into the second week of your recovery. Some patients report strange sensations (i.e., tingling, burning, numbness or tightness) due to the swelling/bruising – this is also normal. Again, you should see the bruising/swelling start to dissipate on or around the fourth day of your recovery from brow lift surgery, but the real progress is made in the second and third weeks post op. Although things will start to improve at this stage, you still have a week or two to go before you can expect all the visible bruising/swelling to be gone – and keep in mind that it takes a full year to see final results. Unlike the sutures/stitches in your hairline, Dr. Majewski will use staples to hold together any incisions made in hair-bearing skin, removing these one week after your brow lift. You should still be taking it easy at this time and avoiding any heavy/strenuous physical activity – but that doesn’t mean staying in bed all day. Though you may not want to be seen at work, the gym, or a public event just yet, you’re encouraged to do light activities like walking in order to keep your energy up. If you’re a bit self-conscious about the bruising/swelling that remains on your face, our aestheticians can show you how to apply makeup just up to the edge of your incisions. You’ll look and feel much better three weeks after your brow lift – good enough to get back to many activities, like work and exercise, as long as they aren’t too strenuous or pose a risk of injury. As your incisions continue to heal, they may appear pink or light red – this is temporary, and Dr. Majewski can recommend specific treatments that will work best for you. With proper scar care, scars will usually fade as much as they will after about one year. It is important to begin scar care as soon as the wound closes to ensure the scars fade as much as possible. Dr. Majewski will provide his recommendation for a scar gel that will encourage your scars to heal quickly. As with all scars, keep your scar out of direct sunlight. Always apply sunscreen if your scar will be exposed to sunlight - the SkinMedica Essential Defense Mineral Shield Broad Spectrum SPF 35 formula is specifically formulated for post-procedure sun protection. The visible improvements of a brow lift appear once swelling and bruising subside. Your final result should not only restore a more youthful and rested appearance, but also help you feel more confident about yourself. The results of your brow lift will be long lasting, provided you maintain a stable weight and general fitness. You can think of a brow lift as a way to reset the clock on your aging process - studies have shown that patients may look up to 10-12 years younger following facelift surgery. It does not, however, stop the clock - following a brow lift, the natural aging process will continue. As your body ages, it is natural to lose some firmness, but as long as you maintain a healthy lifestyle, you will continue to enjoy your results for years to come. You can use our online scheduler to set up your appointment at any time.